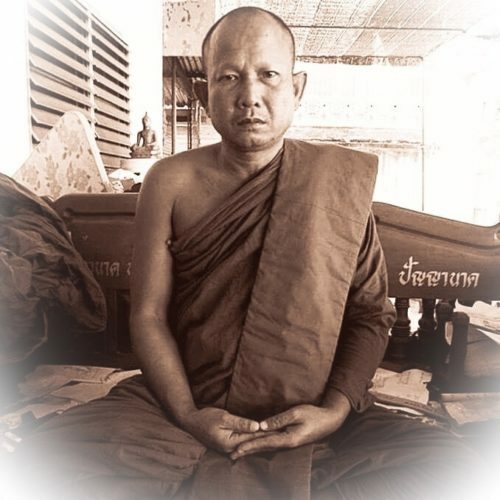 Pra Ajarn Gorp Chai is a lineage master of Wat Mae Ya, following in the tradition of his Kroo Ba Ajarn, Luang Phu Thin (Current Abbot) and the Great Luang Phu Kroo Ba Ban. Wat Mae Ya is the temple of the Late and Great Arya Sangha (said by his devotees to have attained. Pra Ajarn Gorp Chai is continuing the Wicha and Traditional Amulet making of the Great Kroo Ba Ajarn; Luang Phu Kroo Ba Ban, the ex Abbot of Wat Mae Ya temple. He is proficient in the Wicha of Lanna Amulet making and in addition, a Master of Kata Akom and Agkhara Lanna Magical Script, and Sak Yant Thai Temple Tattoos. 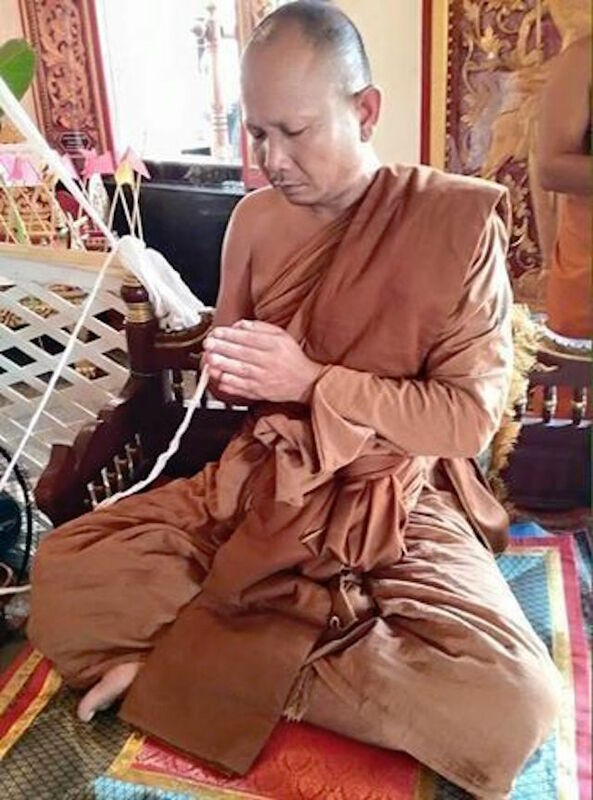 Pra Ajarn Gorp Chai refuses to allow himself to be tempted to invent any modernisations, and maintains the integrity of the Northern methods of Lanna Sorcery. Pra Ajarn Gorp Chai does not produce Amulets for major distributors, and only makes them for his devotees. Below you can see him empowering some of his recently hand made amulets which he made specifically on request for Ajarn Spencer Littlewood (Proprietor of Thailand Amulets), for distribution to our friends and customers.